BEFORE: Today the marathon brings us to 1961 in New York City with Breakfast at Tiffany’s. The film is based off Truman Capote’s (yes, the person who was the basis of Capote) novella of the same name. AFTER: Breakfast at Tiffany’s is classified as a romantic comedy but it seems to be lacking in the comedy department. This brings up an interesting topic, one that is connected with what I mentioned yesterday: how older films differ from modern films. This marathon is no stranger to romantic comedies. In fact, the marathon began with a romantic comedy, Sleepless in Seattle. However, I would not say I’m a romantic comedy buff based on my viewing history alone (that will probably be rectified come February) so I’m not that familiar with the history of the genre, how it’s changed, and all of the clichés that are associated with romantic comedies. 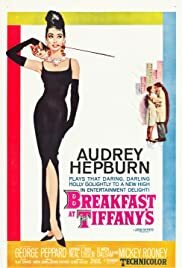 So when I watched Breakfast at Tiffany’s and wasn’t met with the exact formula of a contemporary romantic comedy, I was a bit taken aback in both a positive and negative way. On the one hand it was very refreshing to see the story take a different path than usual. Of course the film hit the key plot points of the genre (meet, breakup, reunite) and had a kiss in the rain scene, but as a whole, Breakfast at Tiffany’s felt as if it didn’t follow every trope. And that makes sense considering it was made in 1961, long before today’s films. But there is also a big drawback to this difference from modern day: it wasn’t funny. Maybe romantic comedies back in the day focused more on the relationship rather than the comedy or maybe there is humor in the film but it just falls on deaf ears due to a generational gap. Either way, despite being different and original compared to today’s films, it wasn’t as entertaining for much the same reason I think. One of the appeals, for me at least, to this genre is the repetitive plots. It makes it a movie you go in to see for the actors or the setting instead of the plot; it’s a way to shut off your brain and not think for ninety minutes. I realize I’m probably being hypocritical here by saying boring, unoriginal, mass-produced junk is better and more entertaining than engaging, original, and unique films. It goes against pretty much everything I’ve ever written in this marathon. Breakfast at Tiffany’s is not a bad film; it is still very entertaining. It’s just that, for some bizarre reason that I can’t fathom, I find today’s mass-produced garbage more entertaining than an Academy Award-winning classic.